Paul Meier, Director of Engineering for Blumont Engineering Solutions, is the creator of JuiceBox.org – a software program which uses computer models to simulate the U.S. energy “grid” – projecting long-term supply and demand for electricity generation, transportation systems and fuel production. 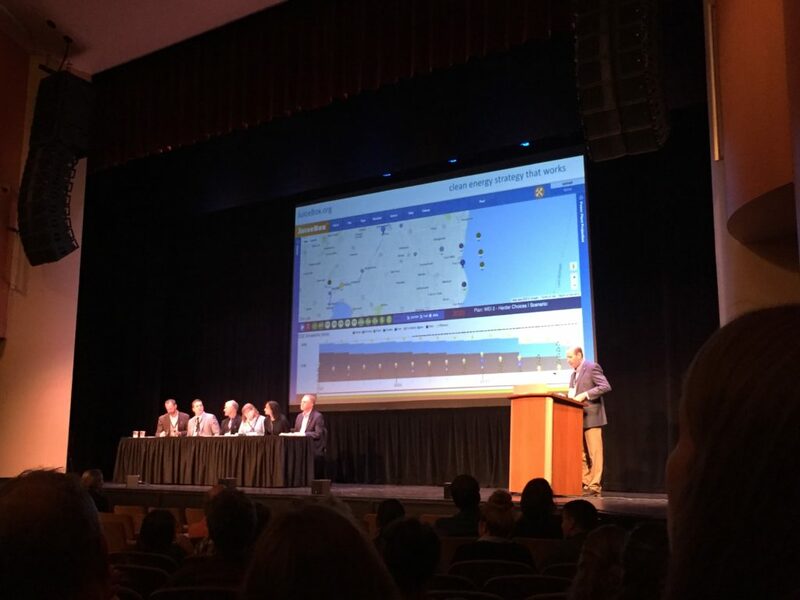 This week, as a presenter at the Wisconsin Environmental Initiative’s Doing Well by Doing Good event held at the University of Wisconsin-Madison, Meier used the software to showcase a “what if” scenario for a clean energy future in Wisconsin. By entering increasing amounts of energy efficiency, renewables, and nuclear energy, JuiceBox mapped several scenarios in which Wisconsin’s carbon emissions stabilized or reduced over the next 20 years. Meier began developing the modeling program during his PhD studies with the University of Wisconsin-Madison, and has since worked with energy companies, state regulators, as well as performed federal research as a scientist for the Wisconsin Energy Institute. Meier is currently making the tool available in the U.S., but is enthusiastic about the value a technology like JuiceBox will bring outside of a research setting, to places where Blumont’s work can advance clean energy development and CO2 savings around the world. “The bigger picture now is that the United Nations Conference of Parties has established emission reduction goals for almost 200 countries and this drives long-term energy and infrastructure decision making. If you look at the map of where those countries are, many overlap with where we operate. This is an opportunity to have better energy planning practices and tools in those places,” he said. Not just any energy planning tools, however, according to Meier. He says competitors’ models are often difficult to operate and require expensive expert consulting, whereas JuiceBox is a system that can be sustainable and affordable for governments across the globe.